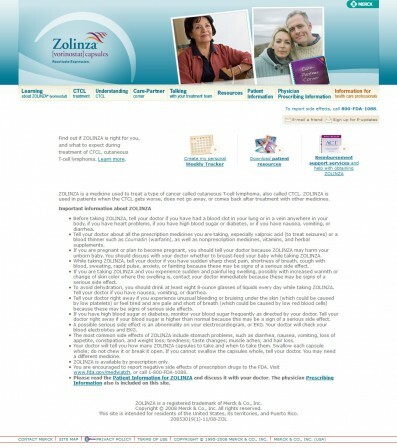 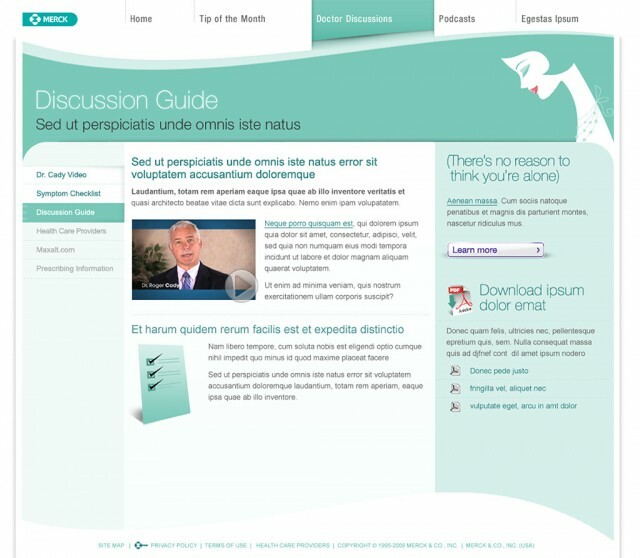 This project was to develop the new interactive website for Merck’s product Zolinza. 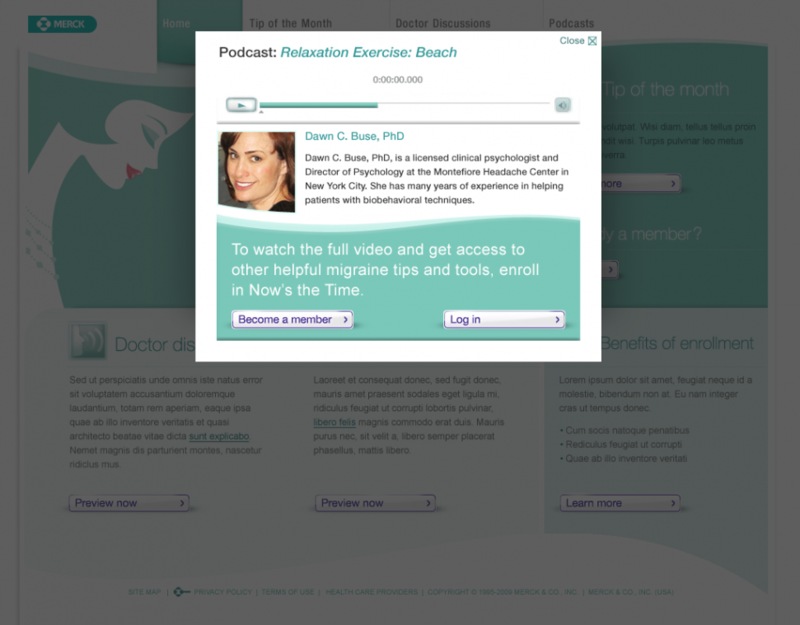 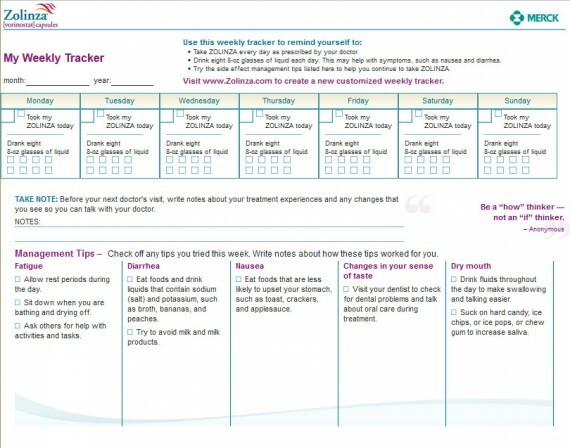 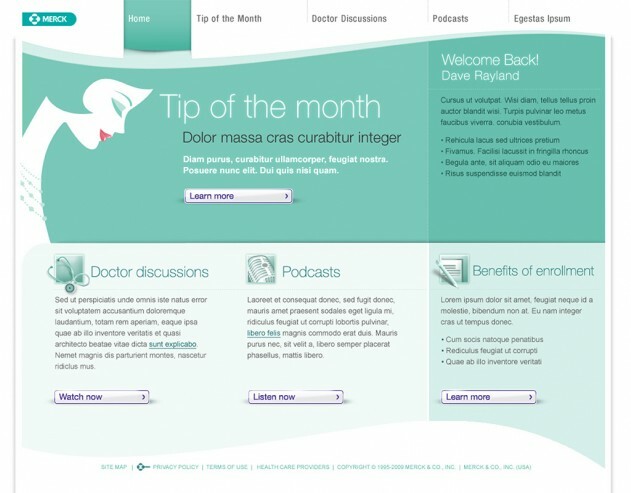 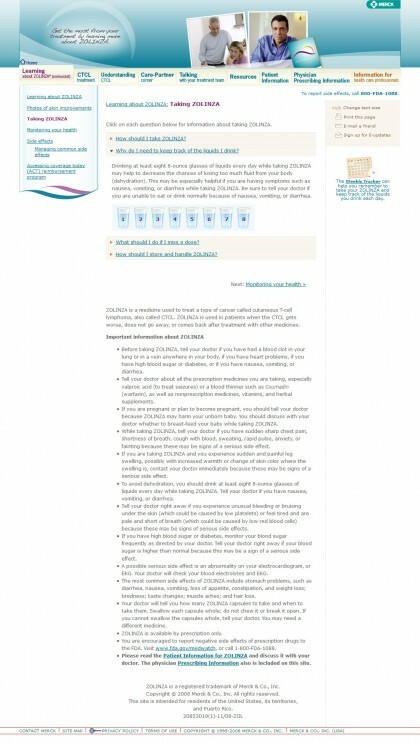 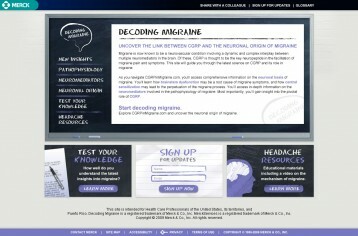 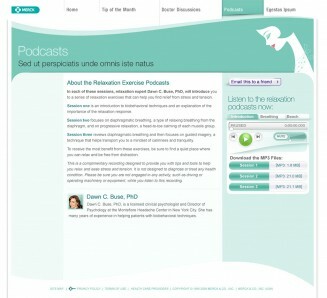 This project was to develop the new CGRPInMigraine.com website for Merck. 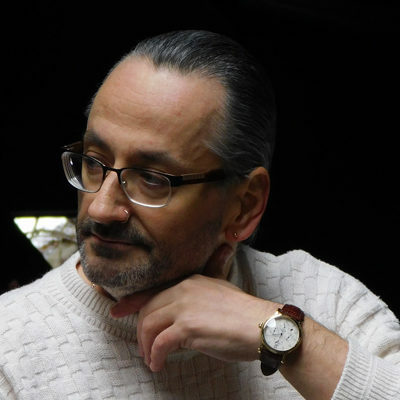 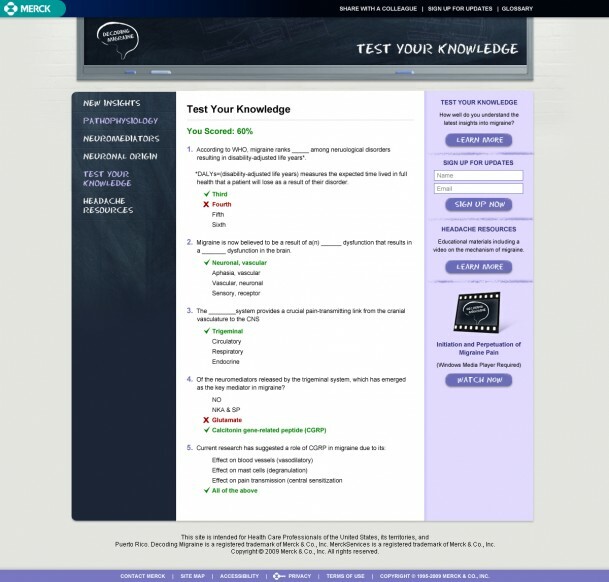 This project included several interactive elements and resources such as flash videos, and an interactive test for users to test their knowledge about CGRP. 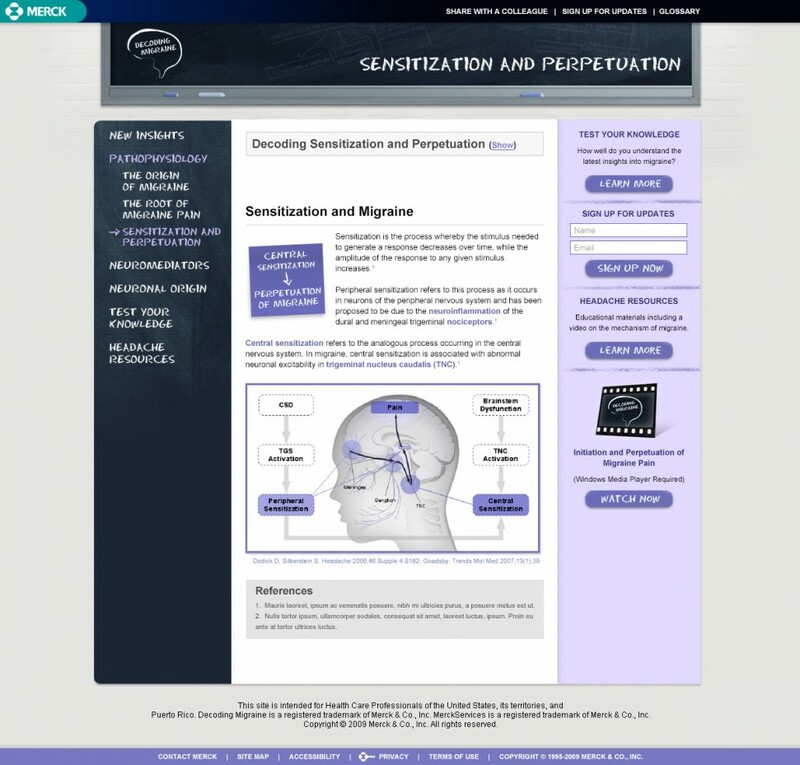 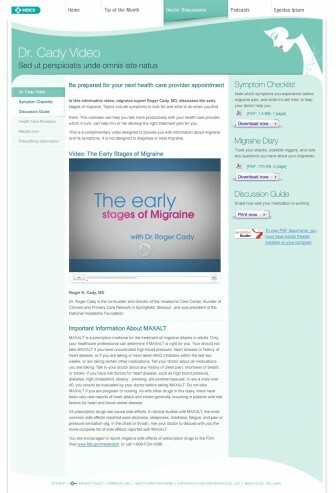 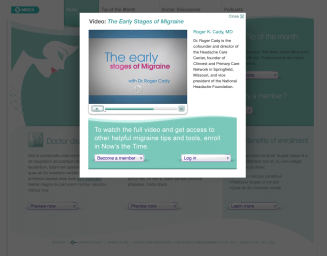 This project was to develop the new interactive Migraine information website for Merck, as well as several HTML assimilation emails to be used on the site.